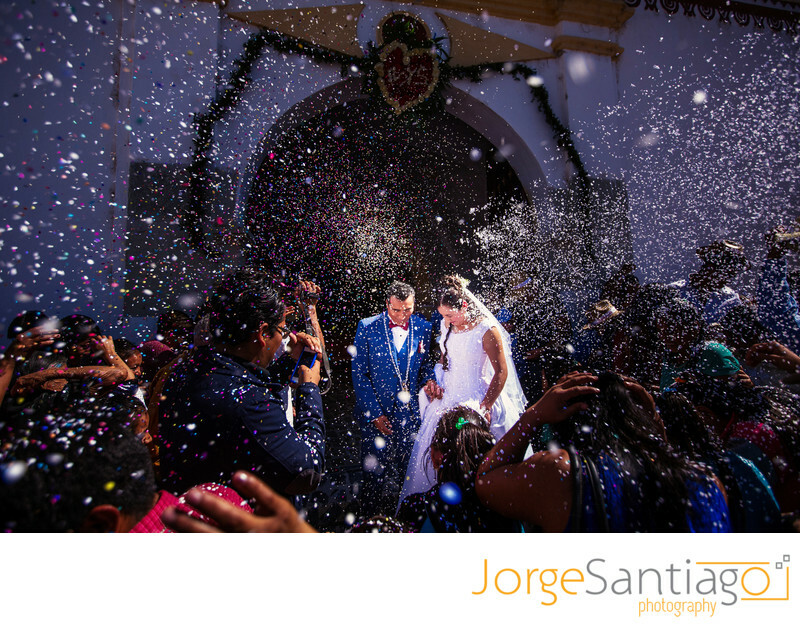 Destination wedding photographer, Jorge Santiago, photographs weddings in Oaxaca, Mexico. Jorge Santiago is very familiar with the city and with Mexico wedding traditions. This photograph was taken during a traditional Oaxaca wedding in December.